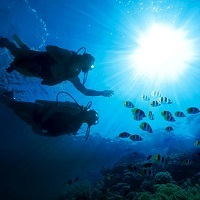 A honeymoon holiday in the Maldives is surely an experience of a lifetime for those seeking to tie the knot in a dream and romantic destination like the Maldives. 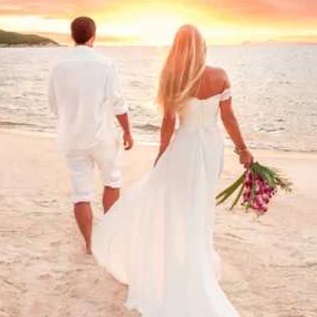 There is no other place as romantic for your honeymoon holiday as these resorts of Maldives. Each is located on its own unique island lying at the end of the world, sandwiched between the infinite horizon of the deep blue sky and the warm crystal-clear waters of the tropical Indian Ocean. 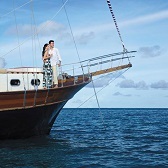 Maldives is perfect for romance and an amazing place for a honeymoon, special anniversary or an indulgent treat. It offers you all the privacy you would expect and all the magic of a secluded tropical island. Get ready to be caressed by the gentle winds that rustle the palm trees and rocked by the ceaseless rhythm of the waves. Walk hand in hand with your loved one with the shimmering white sand beaches on your feet and the cool coastal breeze whispering a romantic symphony into your ears before you retire to your private Beach Villa or the Water Bungalow in the lap of the serene seas. This is a place that belongs just to lovers. Explore our specially recommended honeymoon resorts collection - each offering a slice of the honeymoon paradise which will make your honeymoon too truly unforgettable.